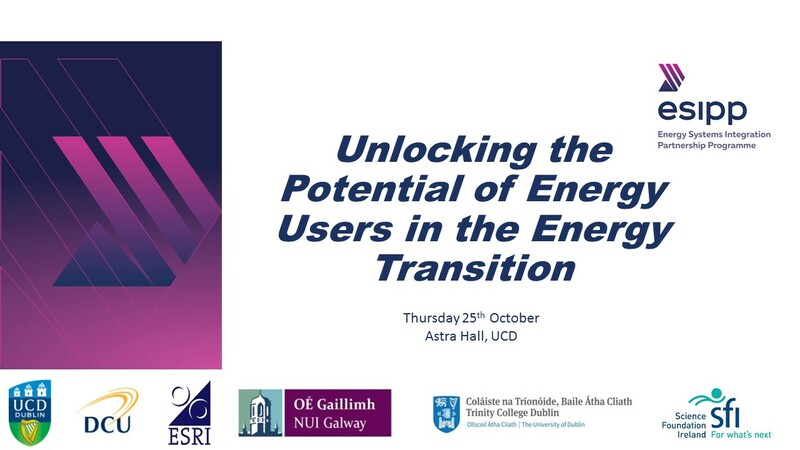 The ESIPP Research Symposium for 2018 will take place on Thursday 25th October in Astra Hall, Student Centre, UCD. The focus will be on sharing our research in the area of energy systems integration with interested stakeholders. Please see below for more details. If you would like to be added to our mailing list to find out more, e-mail esipp.admin@ucd.ie. You can register for the ESIPP Research Symposium here.